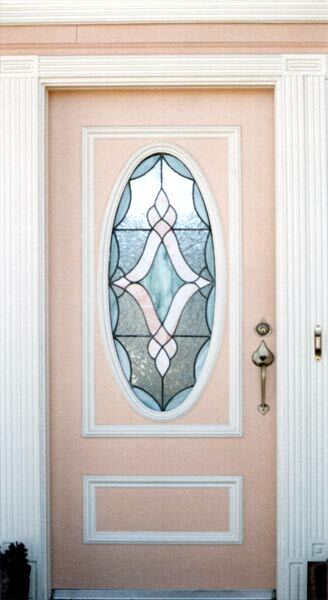 "JS18COLOR" STAINED AND LEADED GLASS OVAL DOOR WINDOW CUSTOM AT GLASS BY DESIGN. 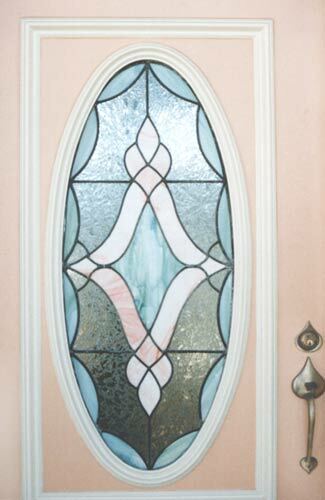 We coordinated with the home owner so the oval stained and leaded glass window matched the colors in the door and the entry tile. They loved the design of the JS18 bevel cluster but wanted the window in colors to go with the entry.